If you use an Android device then you probably want to know which apps are the must haves; the one that you really should not be without. You want to ensure that you get the best value for money from your choice of downloadable Android apps. Check out the five great apps in our list which are all sure to give you the value you are looking for. 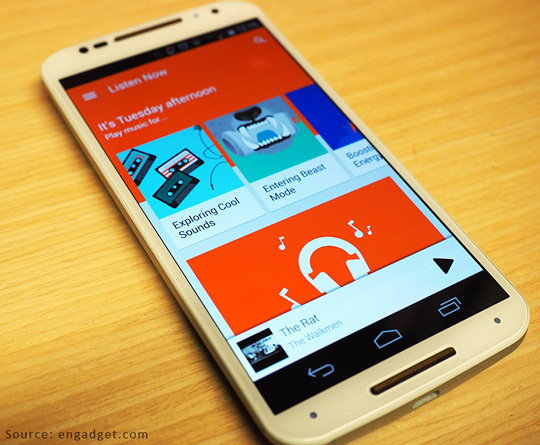 If you want to be able to play your own choice of music, as well as streaming a great choice of tunes, then you should look no further than Google Play Music. You can choose up to 50,000 of your own musical choices to store in the Cloud and play for your entertainment, wherever you are. Impressively, it does not cost you anything to do this. If you want to stream music then you do have to pay $9.99 per month but you get access to more than 35 million tracks. You also get access to Internet radio and to YouTube Red. This feature is especially useful as it means that you can remove ads from YouTube videos in order to enhance your enjoyment. This app helps you to organise your online life was originally known as CloudMagic. The name changed in 2016 but the high quality of the app remains the same. If you have several email accounts that you want to access and manage, Newton enables you to do this with just one log in. That is not all you get from this app; you also get access to great productivity features including the ability to integrate with other apps like Google Calendar, Trello and Evernote. If you are someone who leads a very busy life and needs to be on top of their emails all of the time then this is a good choice of app. The only word of warning when it comes to Newton is that it comes with a price tag of $49.99 annually. 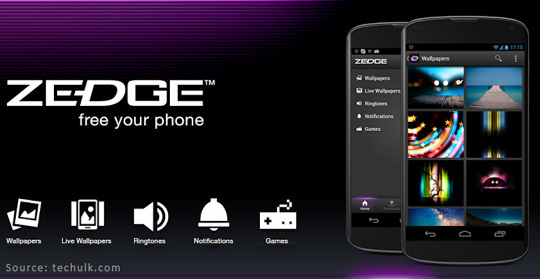 Zedge certainly is not a new Android app but it is a very popular one. The biggest attraction of Zedge is the access to an array of cool ring tones which it provides. If ringtones are what you want then you are sure to find what you need using Zedge, completely free of charge. You can also find a good selection of wallpapers for your phone; although it has to be said that not all of the images on offer look that great in high resolution. One of the most fun things about using Zedge, is that it recognises special times of the year so you can enjoy changing up your wallpaper and tones for holidays such as Christmas. This is another Android app that is perfect for anyone with a busy life. If you use the free version of the app then you have access to task tracking and reminders. This is probably more than enough functionality for day to day use. If you use the Wunderlist app to help keep an eye on your business activity then you may find that it’s worthwhile paying out for the pro version which costs $4.99 per month or $49.99 annually. Weather is one of those things that we all obsess about from time to time. This app helps you keep informed about the weather conditions that are going on around you, now and in the coming weeks. You get access to all the details of what the current weather is like, together with a twelve week forecast. This is not all you get from this cool weather app. You also get access to a host of fun facts about the weather, to keep you entertained. One of the best things about 1Weather is that it’s free to use if you do not mind having ads present. If you prefer not to have the ads there you can remove them by making a $1.99 in app purchase. As you can see, there are Android apps to suit people with a host of different interests and needs. We have only covered five of the best apps in this article and there are many more out there for you to discover. We chose apps that cover a wide range of areas of interest, from the weather to music videos. Hopefully, this has helped you to see just how varied the world of Android apps can be. You can take a look at fun free apps or invest a little money on an app that helps you organise your life. Why not do a little of both and make sure that you get the best value from the apps you download.